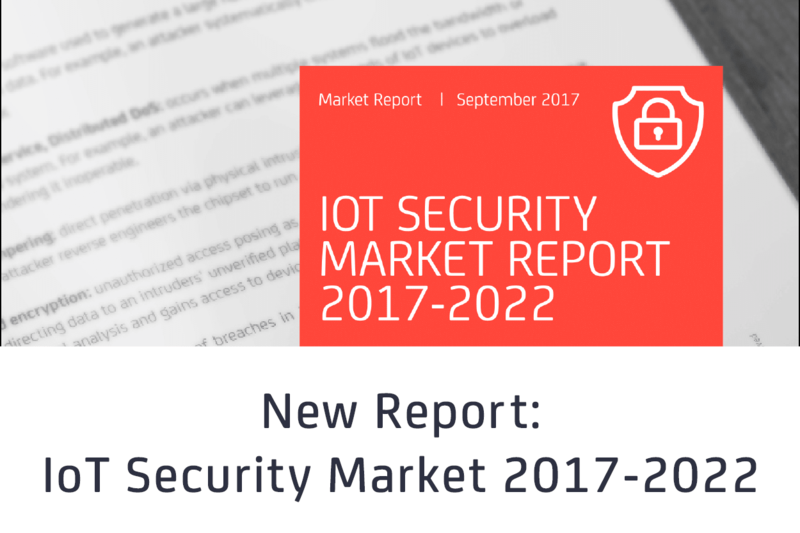 PRESS RELEASE: Hamburg, Germany – 06 September 2017 // IoT security has become a major focus area for businesses, consumers and regulators. 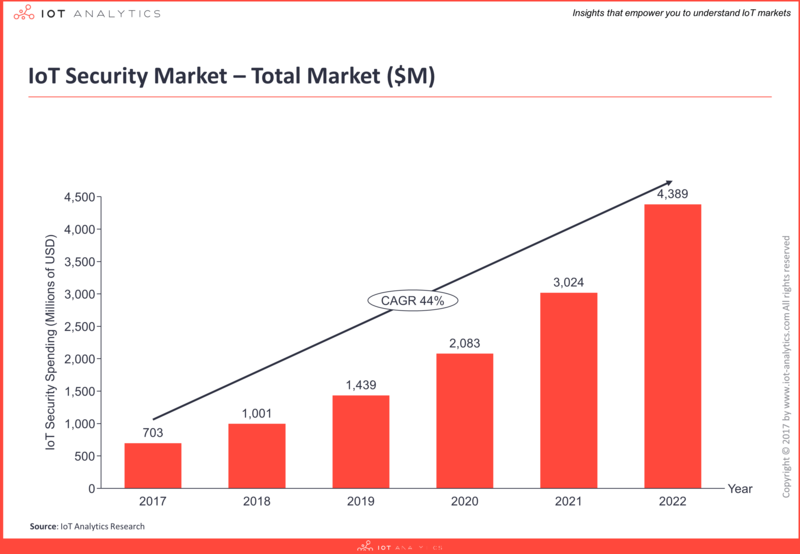 This focus is driven by the increasing number of IoT devices being connected to the internet and the new threats and attack vectors emerging almost on a daily basis. 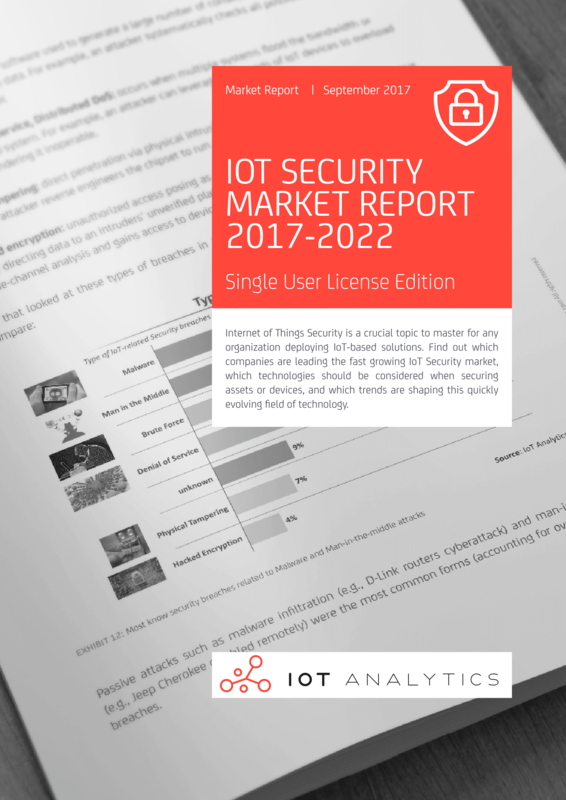 IoT Analytics, a leading provider of market insights and strategic business intelligence for Industry 4.0 and the Internet of Things (IoT), today published a 294-page IoT security report focusing on sizing the opportunity of the IoT security market for the period 2017 to 2022.